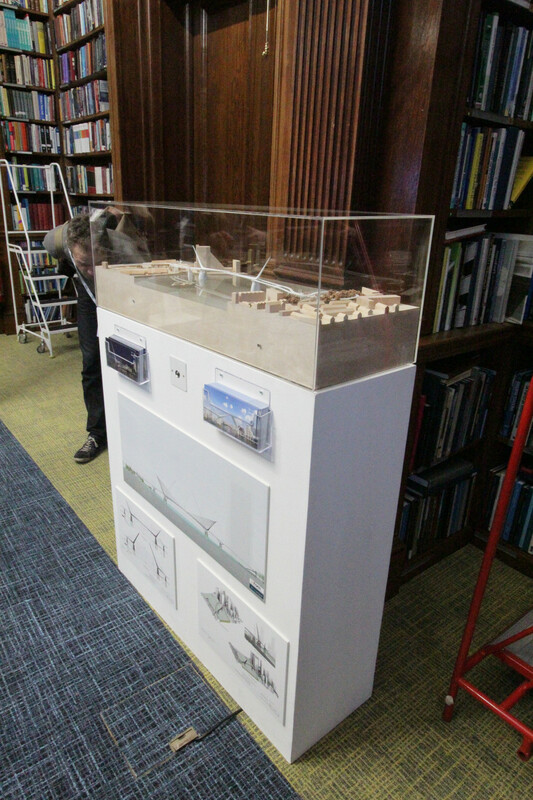 reForm and Elliott Wood are excited to announce that our design for Rotherhithe Bridge is being exhibited at the prestigious Institution of Civil Engineers (ICE) Bridge Engineering Exhibition until April 2017. 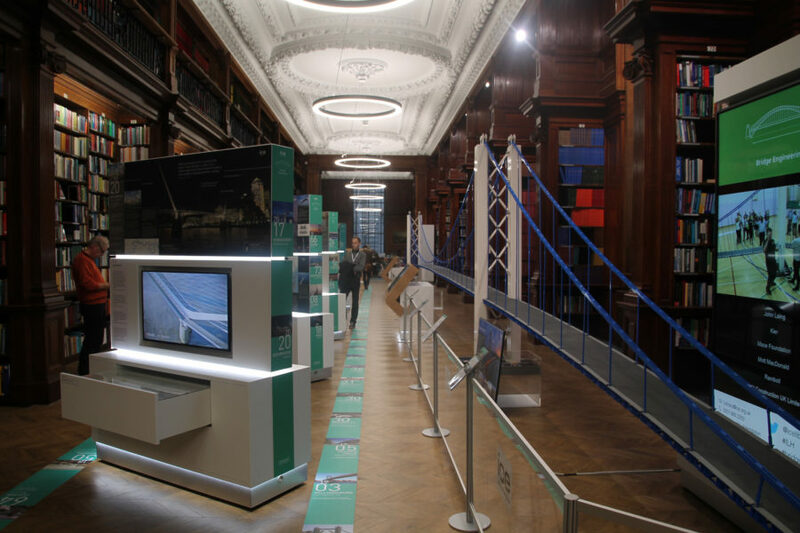 The interactive exhibition is free to enter and open to the public and features bridges from the past, present and future. The aim of the exhibition is to help people learn more about the vital role bridges play in connecting communities, building economies and shaping cities across the world. 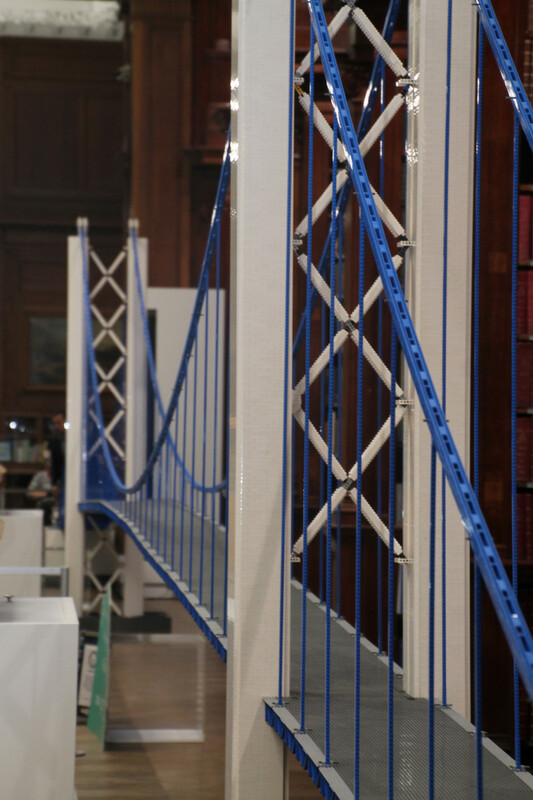 A replica model of Brunel’s Severn Bridge built entirely out of LEGO has been erected within the exhibition at an impressive length of 16.4m. 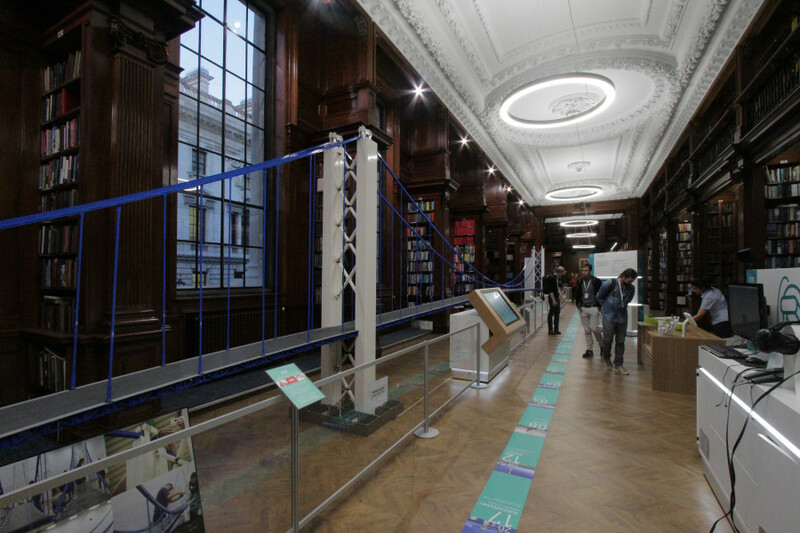 The model has smashed the Guinness Book of World Records for the longest LEGO suspension bridge exceeding the current record holder by 2.45m. Our Rotherhithe Bridge design is featured as part of the exhibition’s look at the evolution of bridge design, and shows how its finely balanced concept will be delivered using cutting edge engineering and sustainable design, requiring very little energy for the hydraulic rams to gently open it to allow large ships to pass beneath. ReForm’s director Nik Randall conceived of the concept for our Registered Design several years ago, since when we have worked closely with engineers Elliott Wood Partnership to develop the proposals to meet the numerous challenges of the site. With a requirement from the Port of London Authority for a clear span of 184m it will be the longest opening bascule bridge in the world. We are delighted that the ICE has recognised the importance of a bridge in this location and the quality of our popular design which is featured alongside some wonderful and inspiring projects and Engineers. Earlier this month the Mayor of London, Sadiq Khan, committed to the delivery of a new pedestrian and cycling bridge linking Rotherhithe to Canary Wharf through an accelerate procurement process, in recognition of the immediate benefits it will bring.